Most college football players look to celebrate a big win once the game is over. 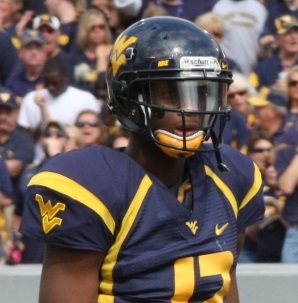 Not West Virginia University quarterback Geno Smith. Smith completed 45 of 51 passes for 656 yards and eight touchdowns last weekend against Baylor with his mom in the stands. She came to the game from their hometown in South Florida. Once Smith finished his postgame media obligations and wanted to get right to work. “Geno’s mom was here in the building and he walks up to her and hands her his box of pizza and then me and him go into a film room to watch some tape,” Quarterbacks Coach Jake Spavital said. Mothers are special and also understanding. Surely this decision by Smith had to sting a little. Smith’s mom completely understood but was slightly upset with her son for something else.